Lament for the Death of a Bullfighter (1959) is a composition for voice and magnetic tape based on Federico García Lorca’s famous elegy Llanto por Ignacio Sánchez Mejías (1934). This article starts from the relationship between Gerhard and Lorca, and the composer’s views on the marriage between music and poetry. Seeking to understand the poietic space that oriented Gerhard’s decisions the author investigates the principles that govern the composition and its underlying musical thought. Through the use of selected musical examples the analysis gradually unveils how sonorous structure and poetic operations, sound composition and speech, emancipated music and emotional narrative, are skilfully interlaced in a dialectical relationship. The unfolding of the creative experience leads to the discovery of a musical microcosm that converses with cutting-edge artistic practices and grasps artistic creation as an intimate experience. The reconstruction of the Lament using Gerhard’s magnetic tape sketches (triggered by the idea of a concert adaptation of the radiophonic poem) underpins this analysis. Keywords: Gerhard; Lorca; BBC; Musique concrète; Radioart; Musical borrowing; Symbolism; Poietic analysis; Media archeology; Reconstruction. 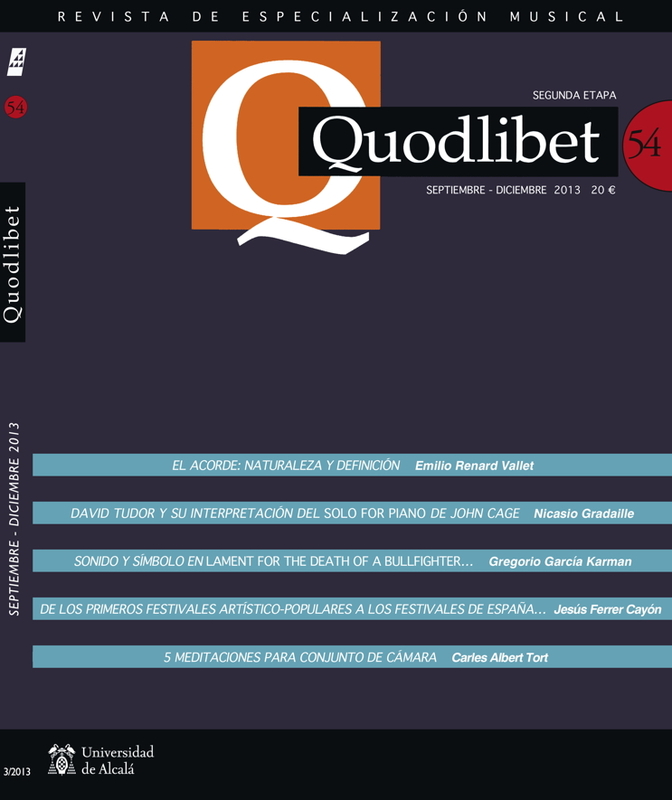 "Sound and Symbol in Roberto Gerhard's Lament for the death of a Bullfighter" has been published in both English (Cambridge Scholars Publishing) and Spanish (Quodlibet No. 54.). Full bibliographical references are linked below.